In medium bowl, mix flour, granulated sugar, cocoa and salt. In separate bowl, stir oil, vanilla, egg whites and eggs with whisk. Add egg mixture to flour mixture; stir until blended. Stir in melted chocolate. Stir in walnuts. Spray 3 1/2-quart slow cooker with cooking spray. Pour batter into slow cooker. Cover; cook on Low heat setting 2 hours to 2 hours 30 minutes or until set around edges but still soft in center. Turn off slow cooker. Let stand covered 30 minutes before serving. Sprinkle with powdered sugar. 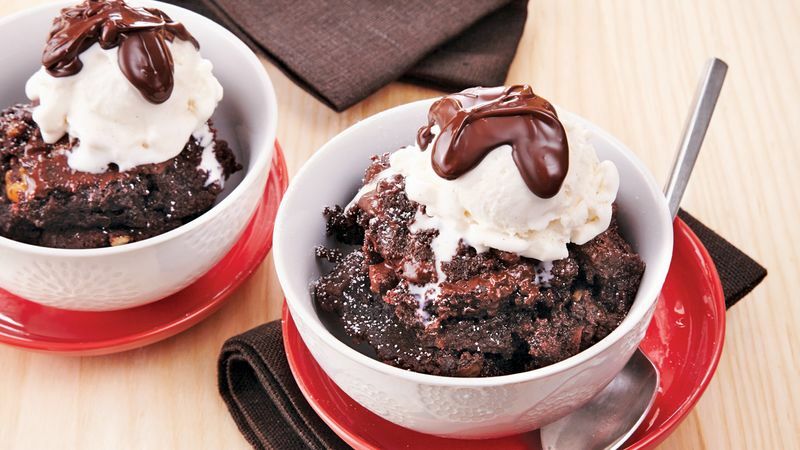 Turn this cake into brownie sundaes with a scoop of ice cream and drizzle of chocolate topping.